Guided visit of inside Sagrada Familia - SKIP THE QUEUES! Visit to Gaudí's famous La Pedrera - SKIP THE QUEUES! 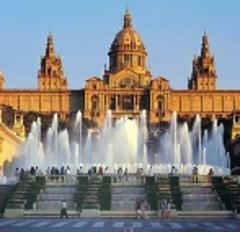 Our Barcelona Highlights Full Day tour offers a comprehensive view of the city. We visit all of the most iconic sights the city has to offer as well as introducing some of Barcelona's best-kept secrets. We start our tour with a drive to the famous hill of Montjüic, which offers excellent views over the city and was the site of the 1992 Olympic games. After a brief stop at the Catalunya National Art Museum (MNAC) we will make our way down to Plaça Espanya and on past the Modernist buildings of the Eixample area. Our drive to the iconic Sagrada Famlia will take us up Passeig de Gracia, home to the famous designer stores, and the setting for two of Barcelona's most talked about Gaudï buildings: La Pedrera and Casa Batlló. Before arriving at the Sagrda Família, we will stop at the Hospital de Sant pau I de Santes Creus, built between 1901 and 1930. Well away from the tourist route, this hospital has been declared a 'UNESCO World Heritage Site' and is one of the greatest symbols of the Modernist Architecture in Barcelona. 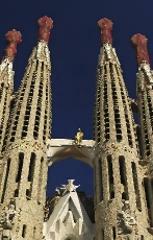 Finally, we will arrive at Sagrada Família, stopping there for a visit inside the building. Our 'Skip the Line' policy means entrance tickets will have been pre-purchased and there will be no NO QUEUES! For many, this is the highlight of their Barcelona experience. The group will then head to the oldest part of Barcelona, the Barrio Gótico, which, as late, the mid 19th century was still surrounded by the Medieval walls. At this point, we will leave the bus and enjoy a stroll through the narrow winding streets of medieval Barcelona. At the start of our short walk through the historic streets of Barcelona, we will stop for brief tour of one of Barcelona's most traditional indoor food markets: Mercat de Santa Caterina. From there, we will travel back in time, going from the Roman era through to the early Middle Ages, when the Catalan counts were controlling the Mediterranean sea and Barcelona was the capital of an empire. During this part of the tour, we will also visit the Jewish Quarter, the Royal palace, the original 2000 year old Roman Temple and part of the Cathedral. The final part of the tour takes in part of the Born district, where the guide will point out a variety of restaurants and tapas bars suitable for lunch before ending the tour in the magnificent Santa Maria del Mar church - one of the most beautiful in Barcelona. The guide will be more than happy to make some recommendations for lunch or dinner in the area, or for further sightseeing or shopping trips. After a quick lunch, we head straight to Park Güell, the famous city garden designed by Anton Gaudí. The guide will lead the group down through the park explaining the garden concept and introducing you to some of Gaudí's most bizarre creations. From the Park we head straight to one of the most famous Gaudíbuildings of them all: La Pedrera. We will have an hour here to visit inside the building. 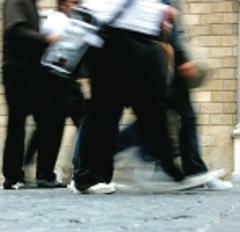 Our 'Skip the Line' policy means that there is no waiting in queues! The tour ends here at around 4pm. Please note: From January 7th to January 13th La Pedrera will be closed for maintenance. These are the regular works for maintenance performed annually and during the same dates." 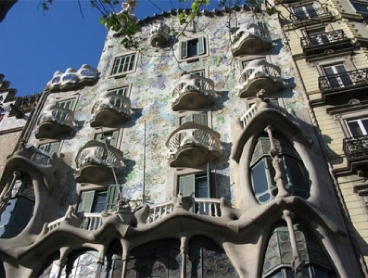 You will have the alternative to visit the Casa Batllo instead.